In 2017, Rosneft plans to pay off $9.7 billion. Rosneft Finance S.A. (a subsidiary of Russian state-owned oil company Rosneft) has redeemed second series Eurobonds worth $1 billion, the company said in a statement. The Eurobonds were issued by the former TNK-BP group in 2006, with a maturity term of 10 years and the coupon rate of 7.5 percent per annum. 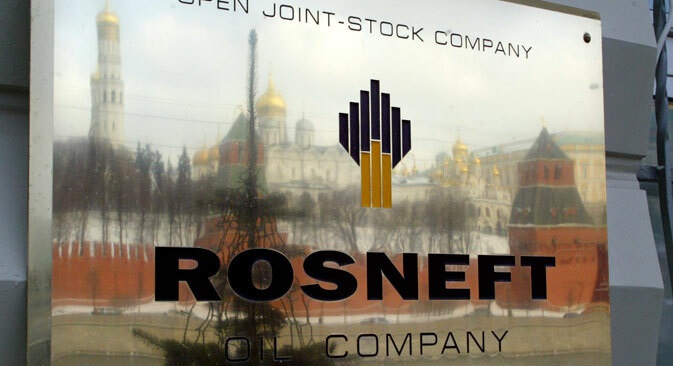 "Maximization of profit at the operating level and the effective management of the working capital allow Rosneft to generate a stable cash flow that provides the resources for the payment of dividends, reduction of the debt load and provide required liquidity for the financing of its investment program," the statement said. During the first quarter of 2015, the company’s net debt decreased by 44.8 percent amounting to $23.9 billion in the dollar equivalent. After the redemption of the Eurobonds the company is still to pay off the third series of Eurobonds of Rosneft Finance S.A. for the sum of $2.4 billion. In June it was reported tht by the end of 2016 Rosneft is to pay off another $9.2 billion of debt. Earlier the company planned to redeem $14.3 billion od debt this year. In 2017, Rosneft plans to pay off $9.7 billion (earlier it was planned to redeem $8.8 billion. Earlier the company announced plans to pay $13.9 billion of debt in 2020-2029.